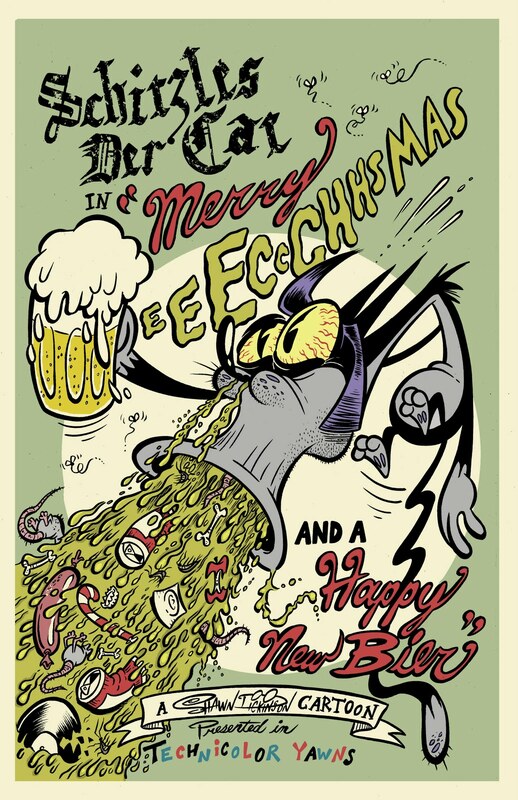 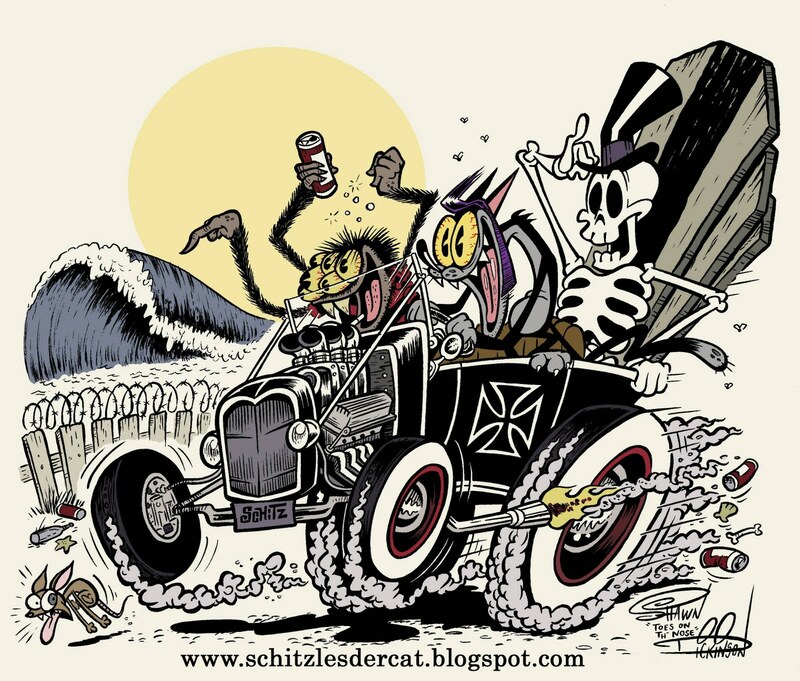 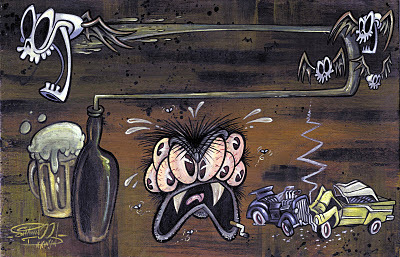 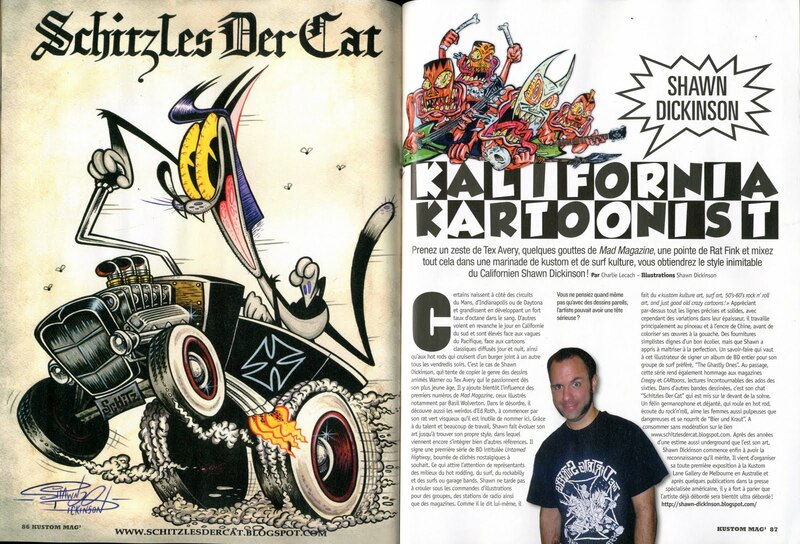 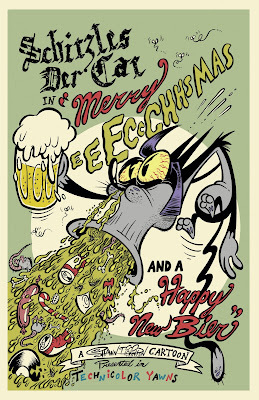 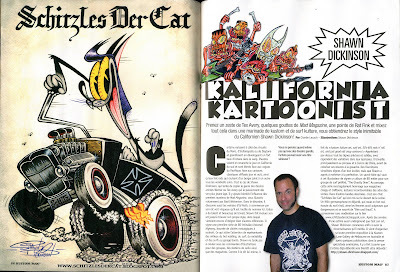 Schitzles Der Cat comic book coming 2012! 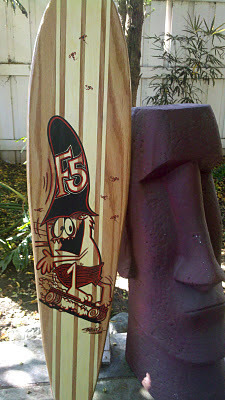 I painted these custom longboards I got from my pal Tony Esch. 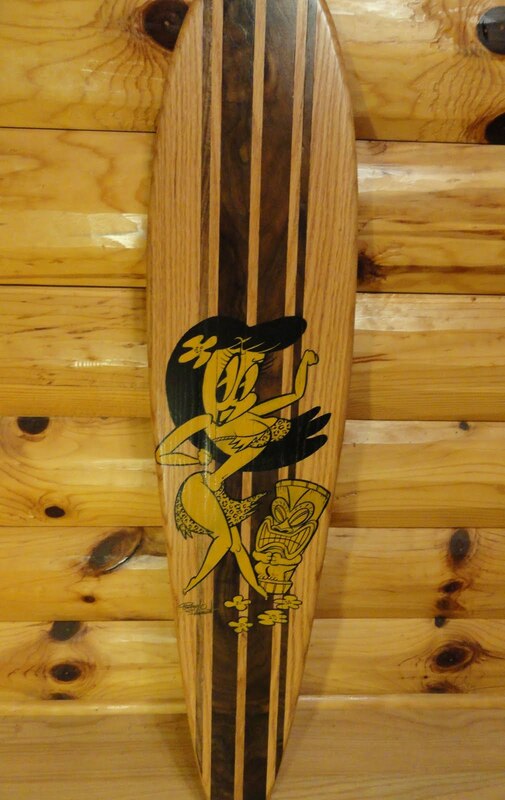 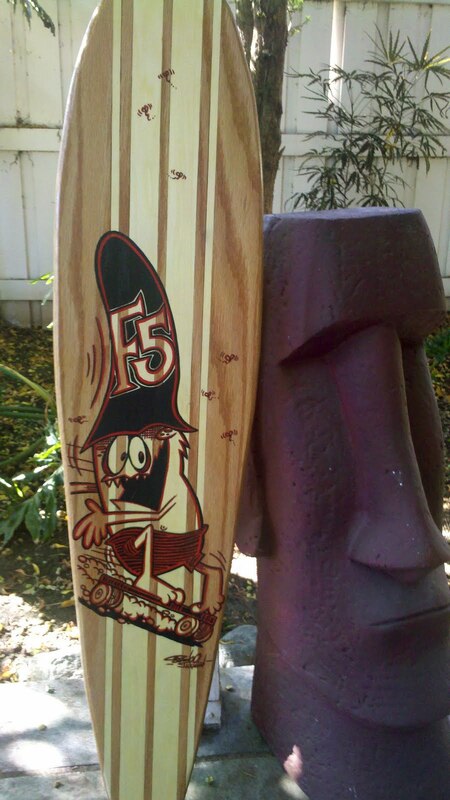 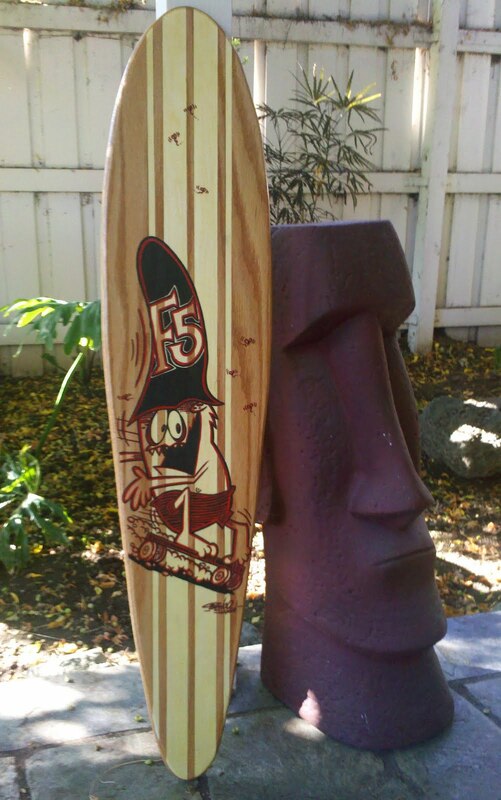 He makes beautiful wooden longboards & cruisers, and he sent me a couple so I could paint on 'em! I'm gonna order more soon! 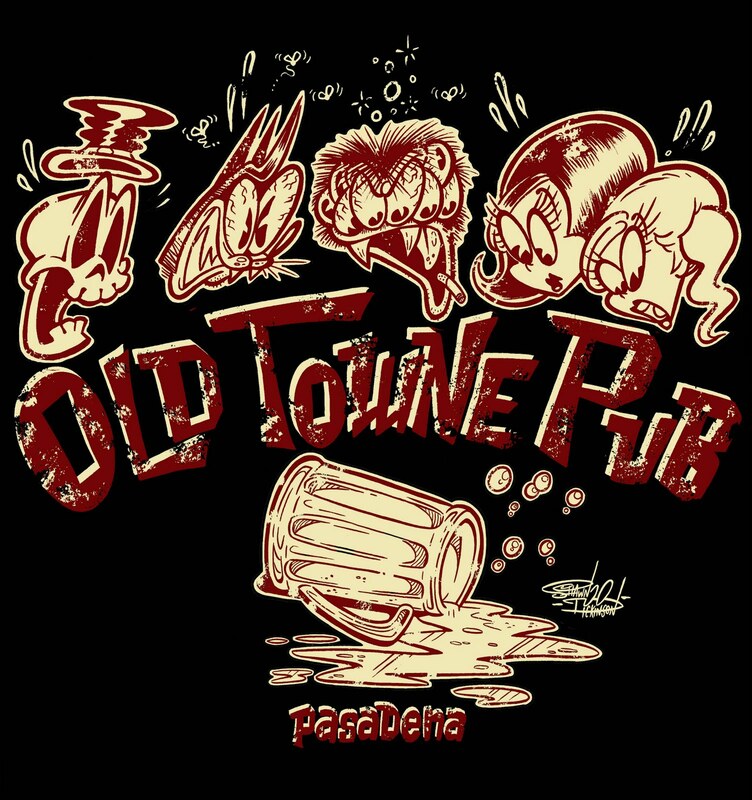 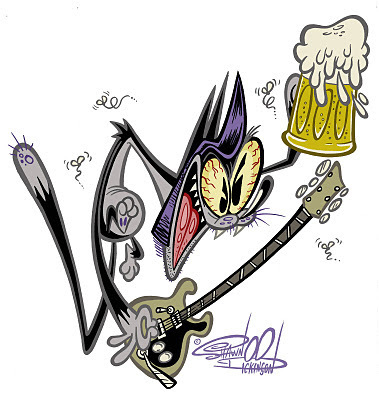 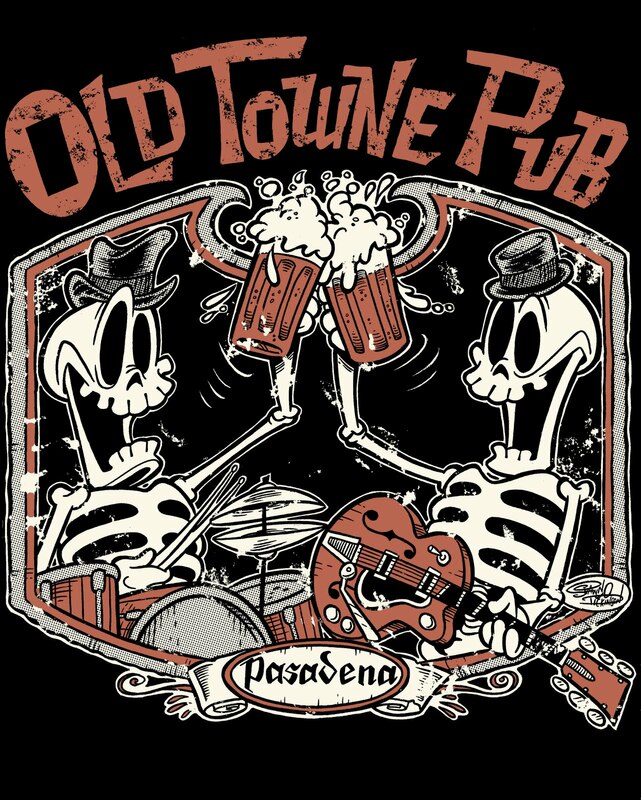 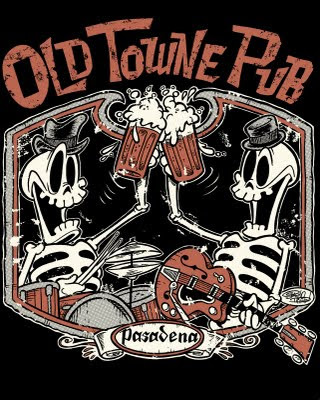 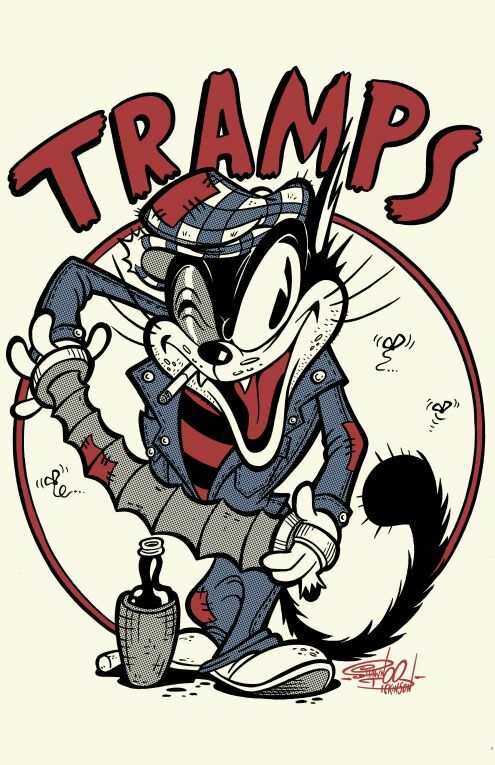 If you like beer, and rock n' roll, and Shawn Dickinson cartoons, then pick up one of these t-shirts I drew (featuring my characters) for OLD TOWNE PUB in Pasadena! 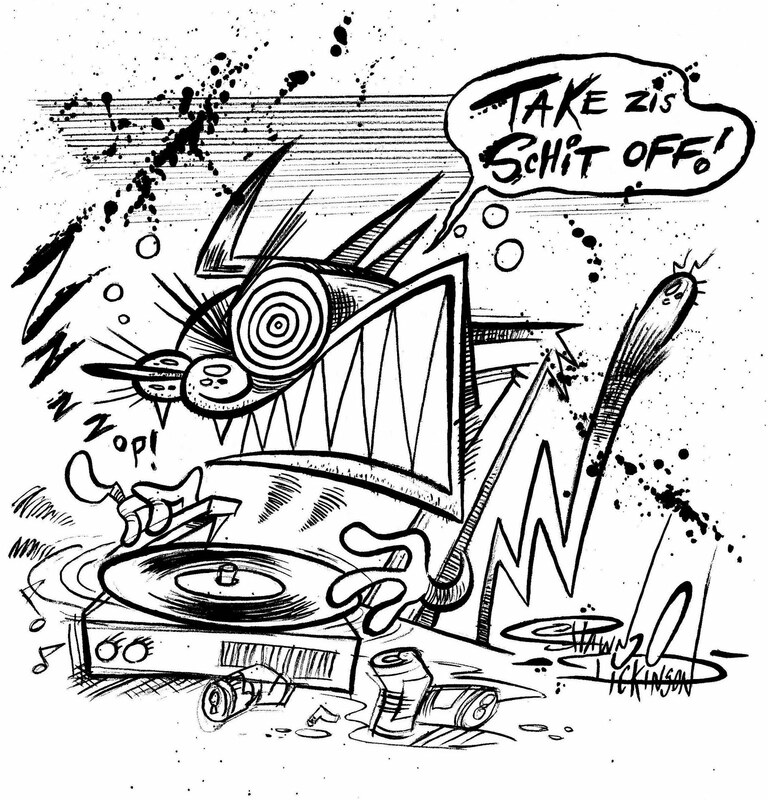 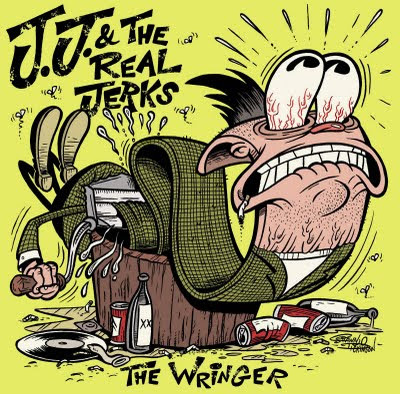 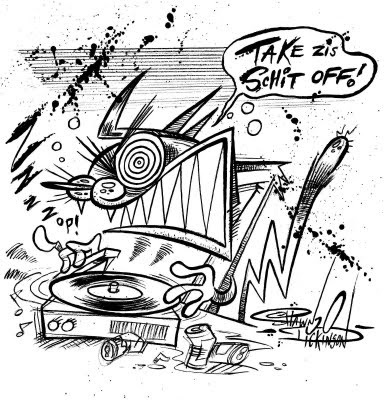 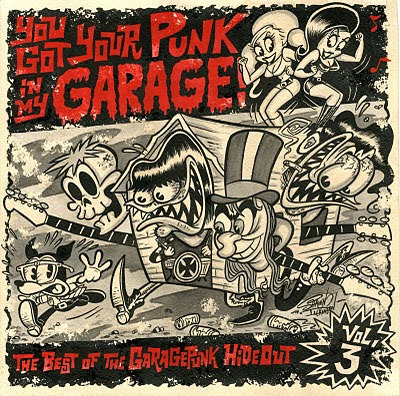 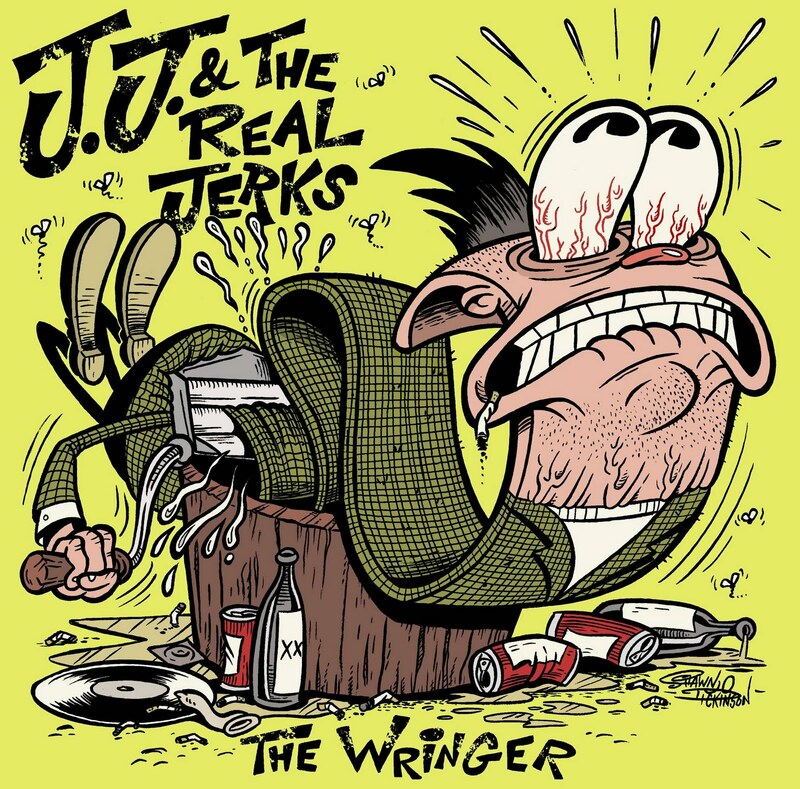 I did the cover art for the new JJ & the REAL JERKS 7inch record! 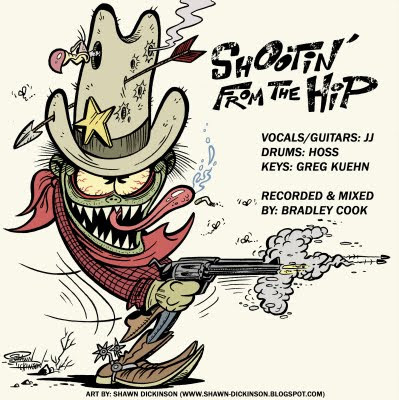 Out NOW on Rankoutsider Records! 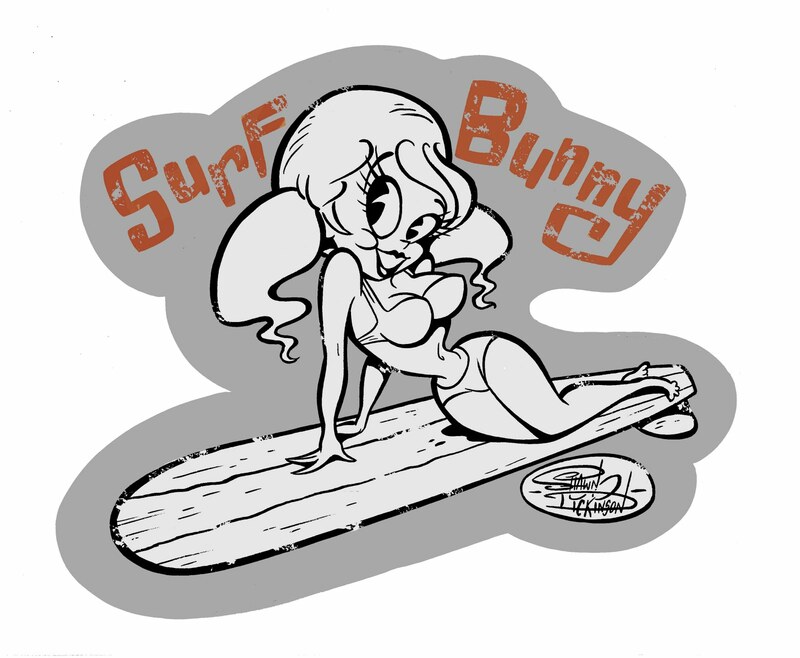 Also, new GaragePunk.com t-shirts, featuring my go-go girl Yseult are available NOW at the GaragePunk.com store! 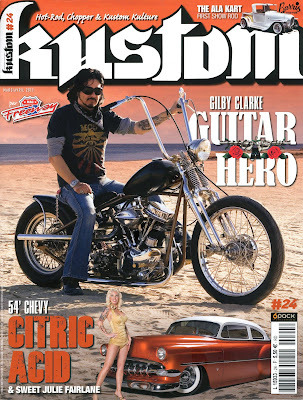 Get one today and support good ol' raunchy R&R!!! 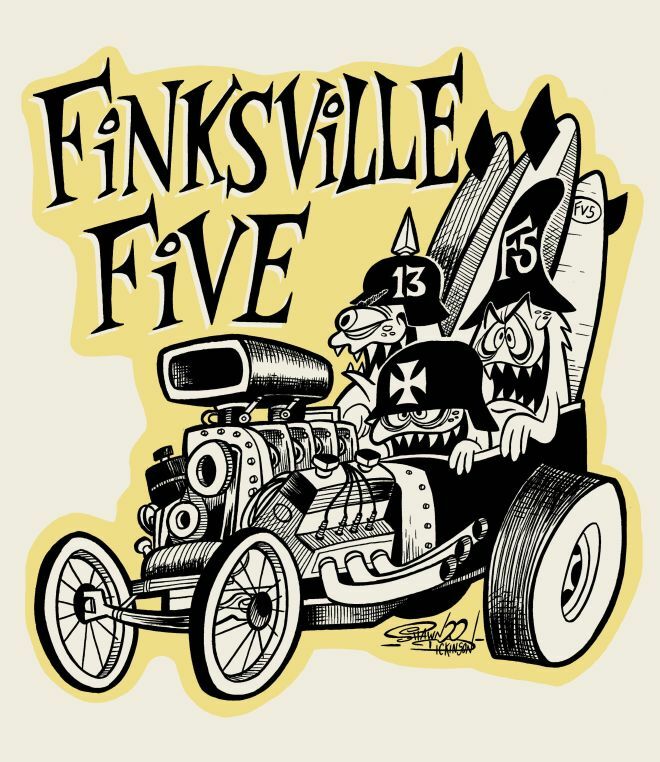 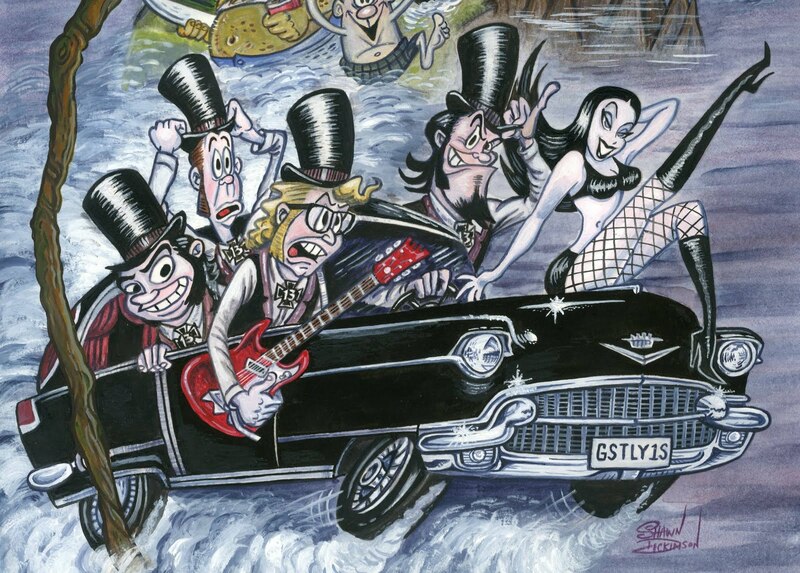 New design (with respect to the great Rick Griffin) for Southern California's hottest new drag-strip surf band The Finksville Five, featuring members of The Ghastly Ones and The Dynotones! Long live REVERB...Forever FUZZZZZZZ! THE GHASTLY ONES' COMIC BOOK IS FINALLY HERE!!! 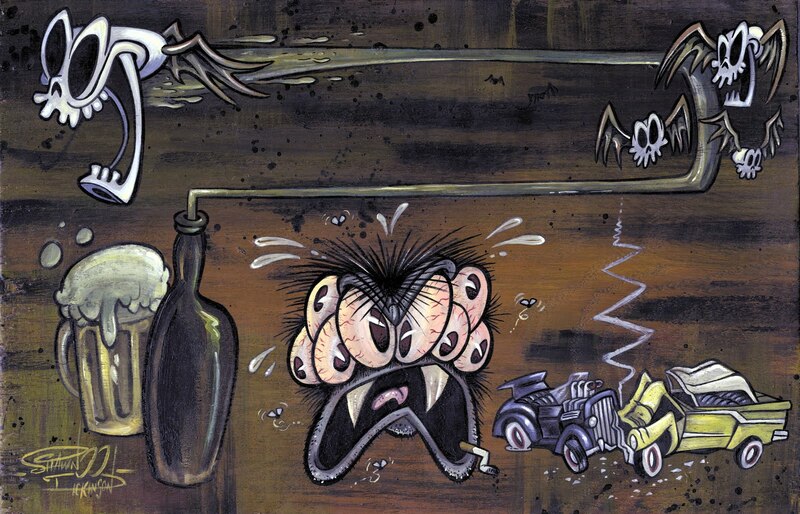 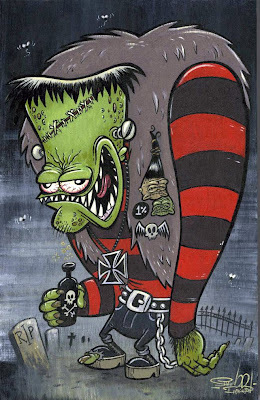 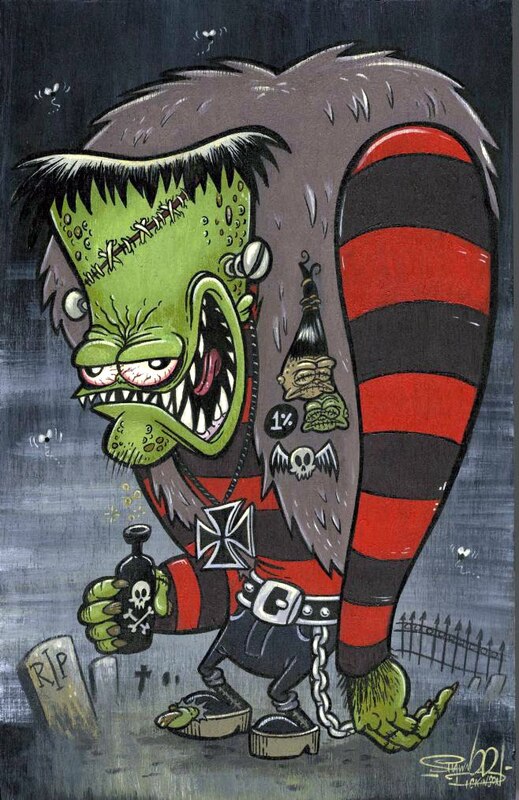 And making it's public debut at Moldy Marvin's Rat Fink Reunion on July 30th! 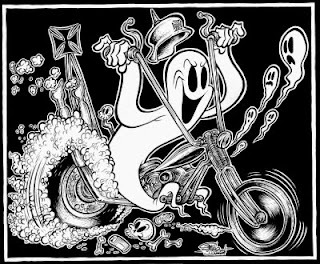 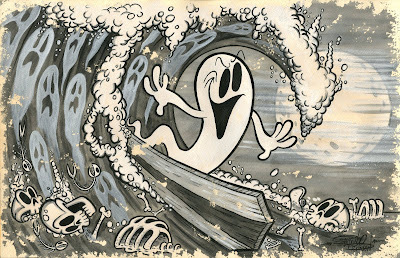 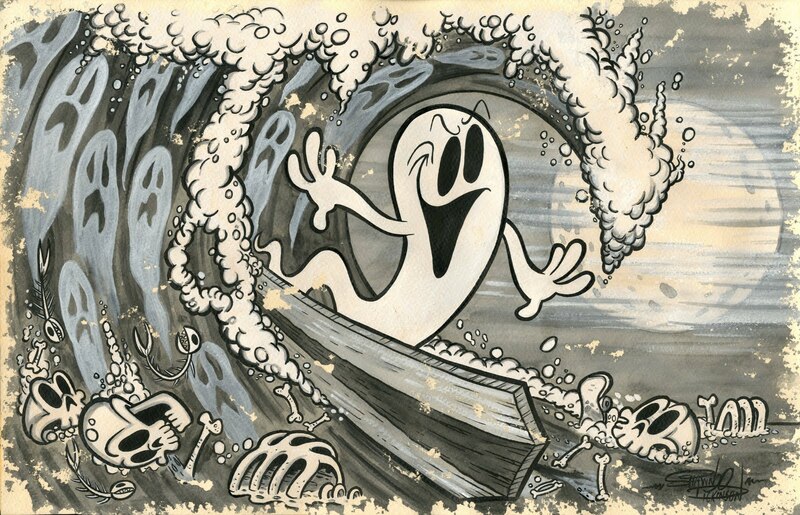 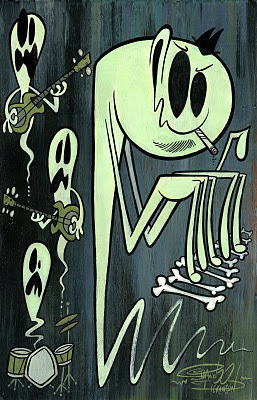 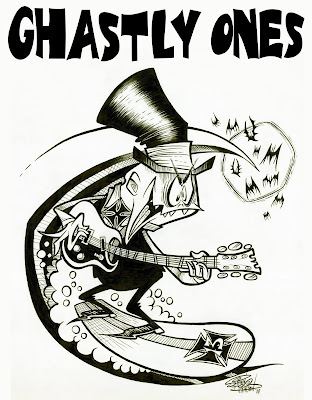 This is a limited edition comic book I drew for the spooky soCal surf band THE GHASTLY ONES! 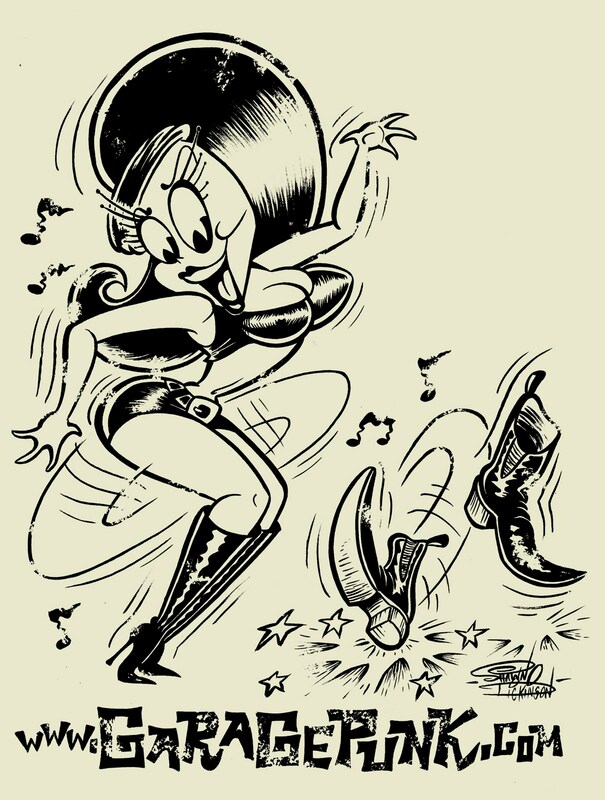 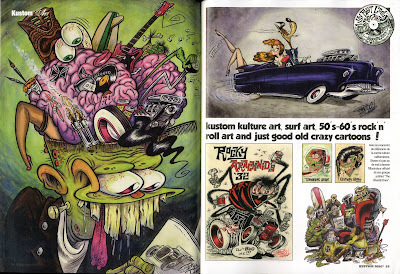 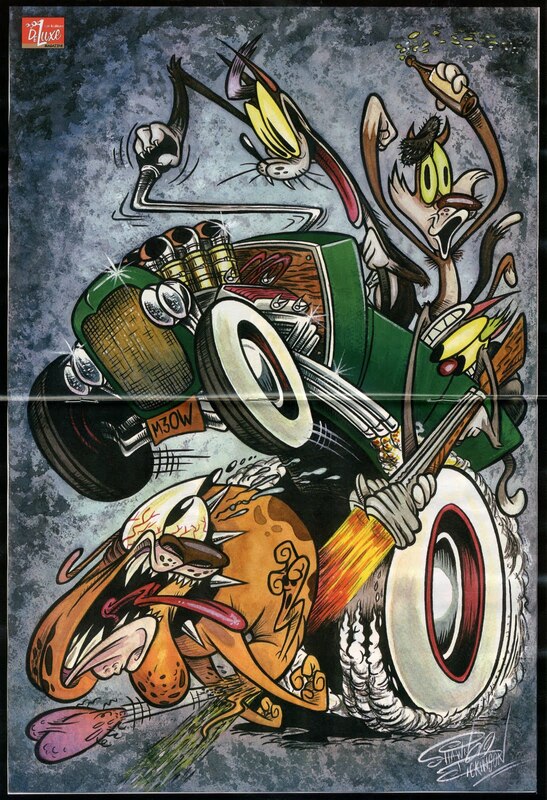 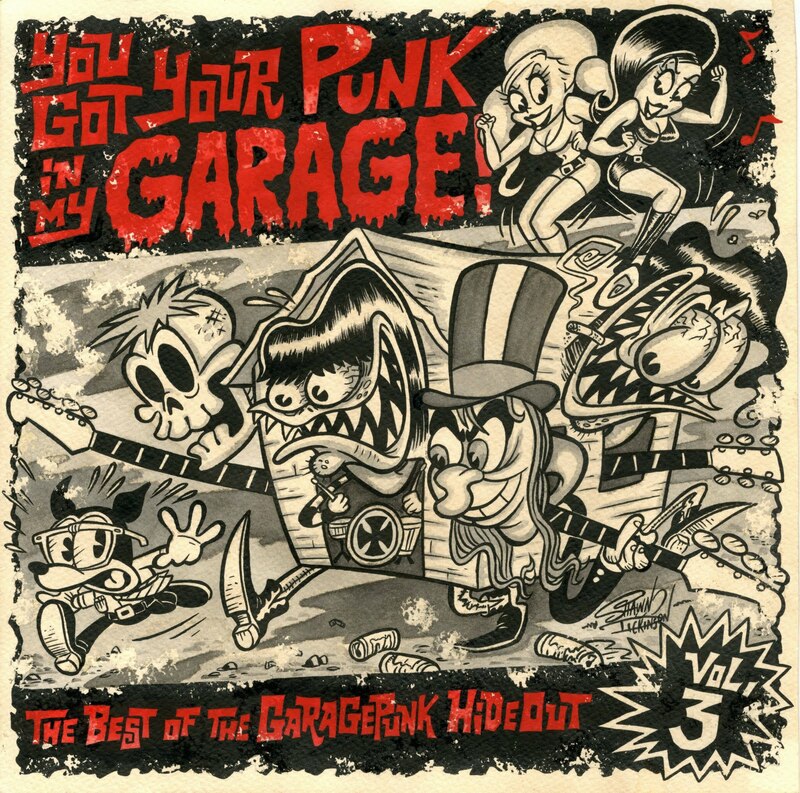 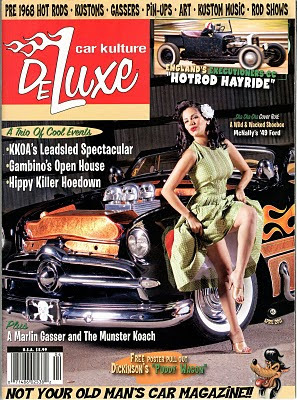 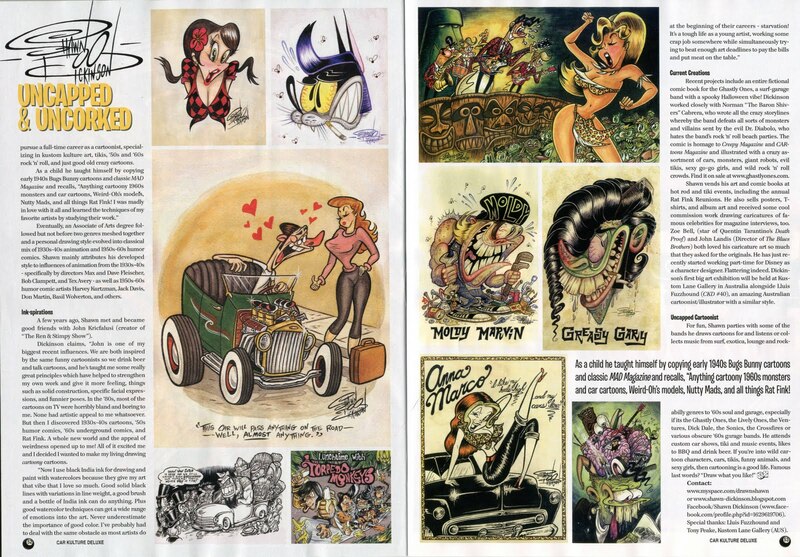 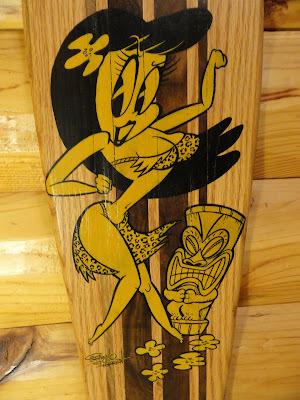 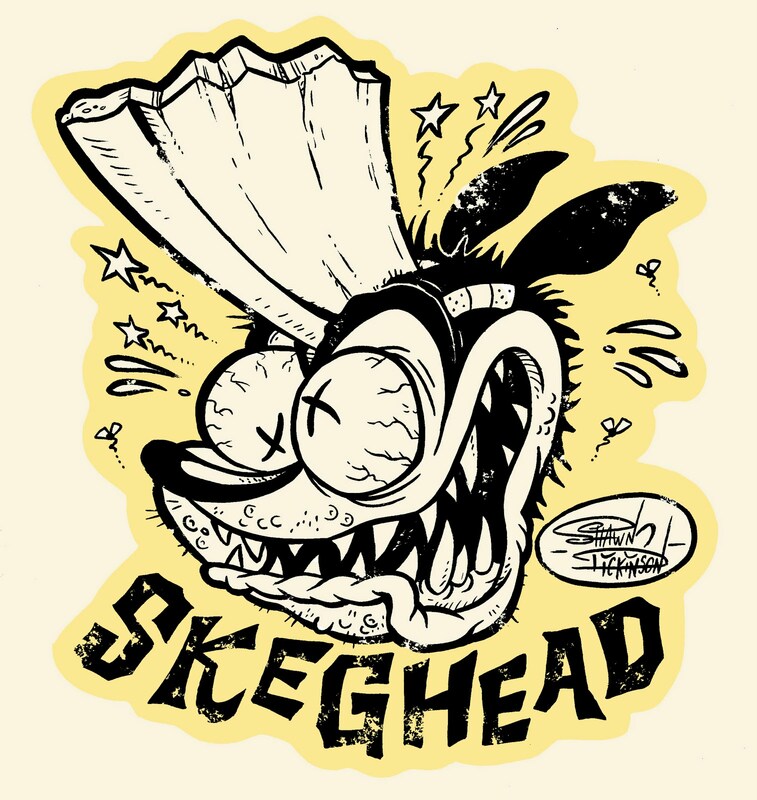 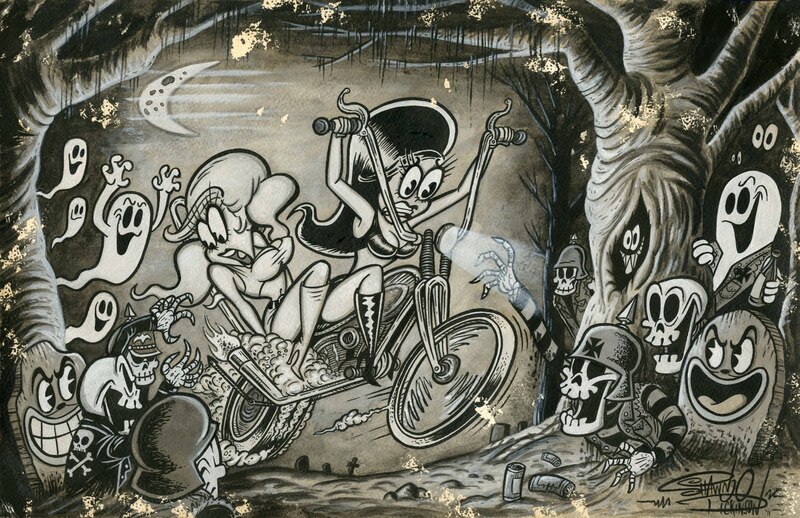 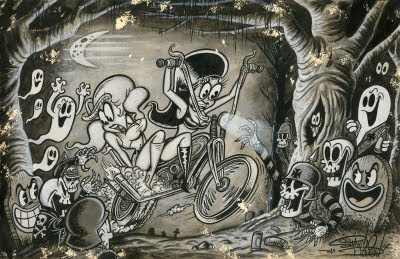 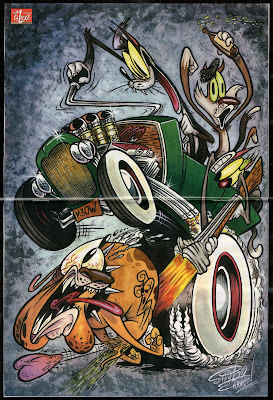 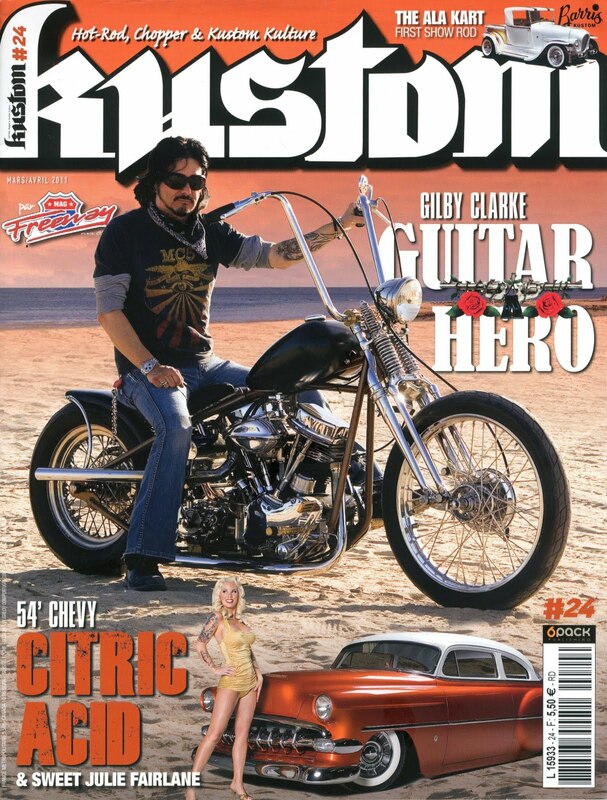 - FOURTY PAGES of surfin' mayhem, monsters, cars, guitars, bikers, shriners, freaky tikis, giant cave spiders, Robot Atomico, and a 50 ft. Go-Go girl!!! 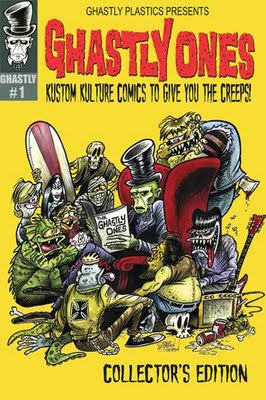 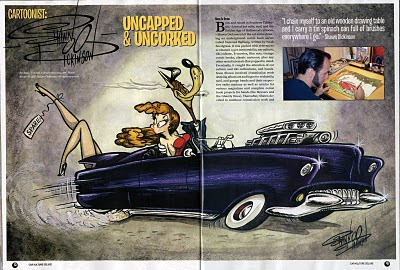 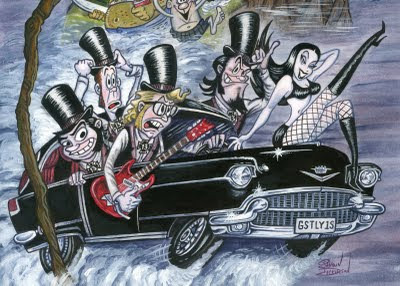 I will have a booth with the Baron Shivers of the Ghastly Ones, selling and signing these limited edition comic books! 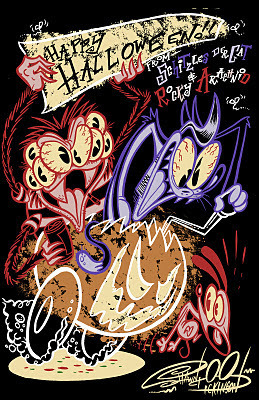 Don't miss out on this GHASTLY fun!!! 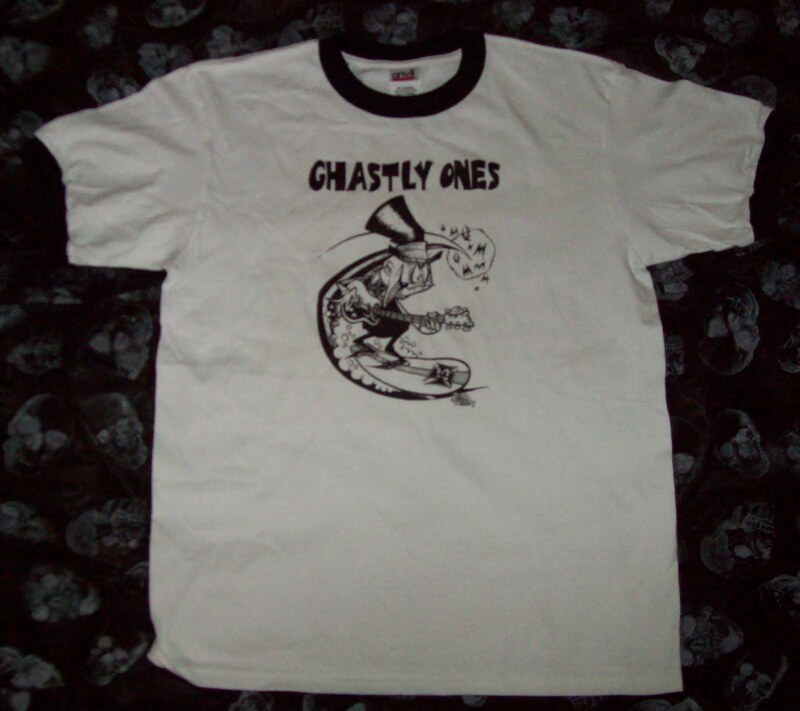 These Ghastly Ones t-shirts will also be available! 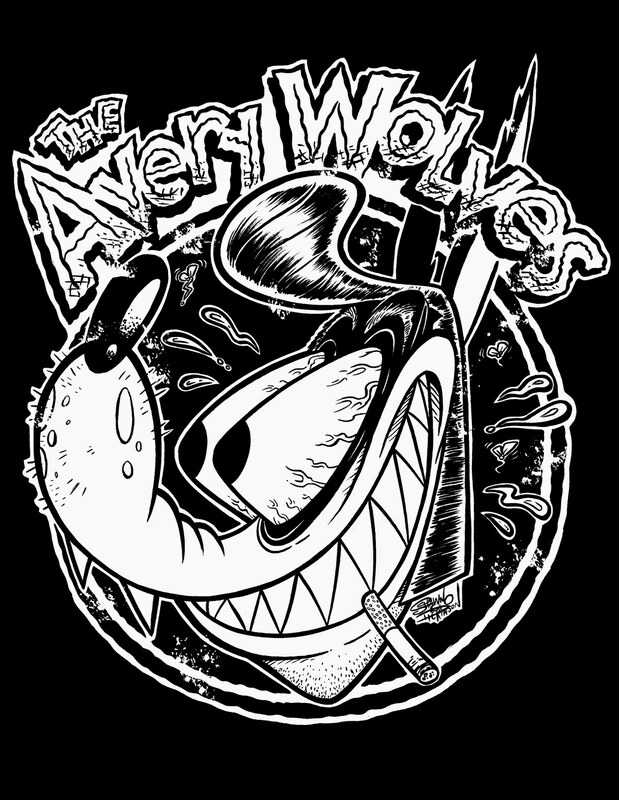 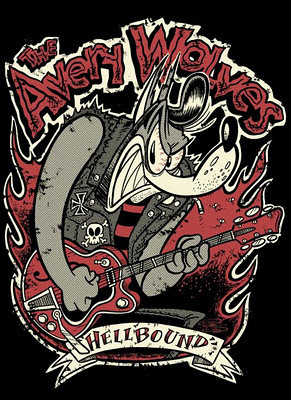 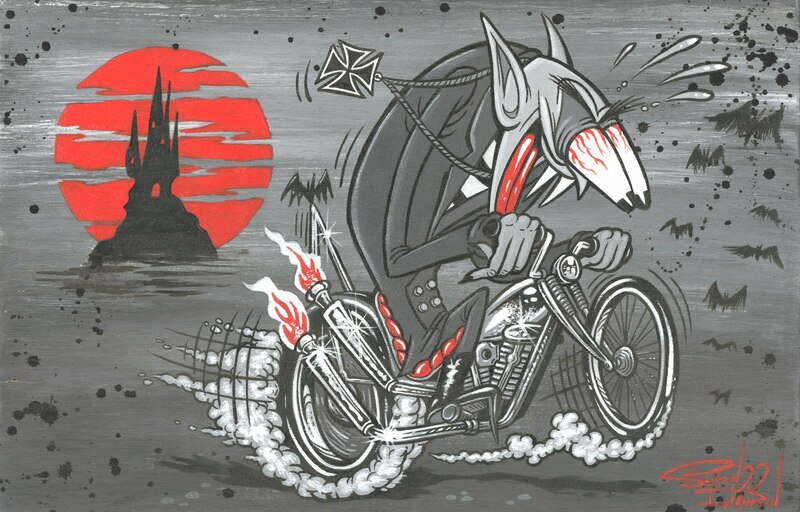 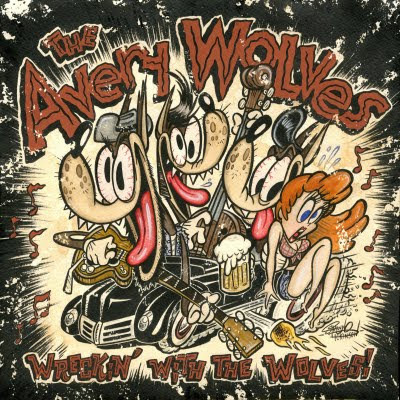 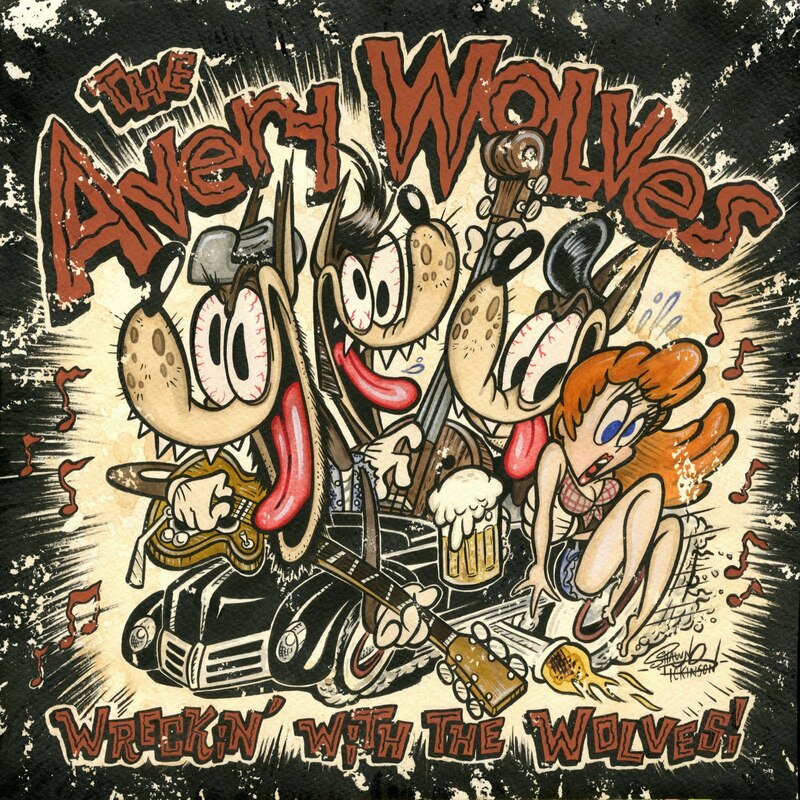 New artwork for rockin' band The Avery Wolves! 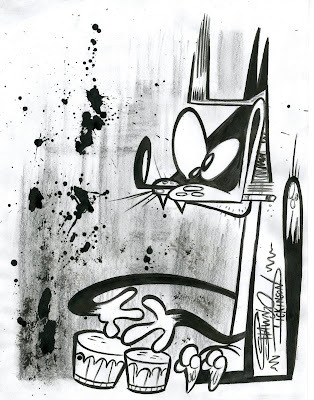 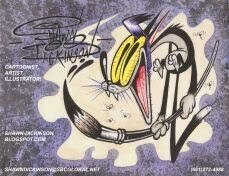 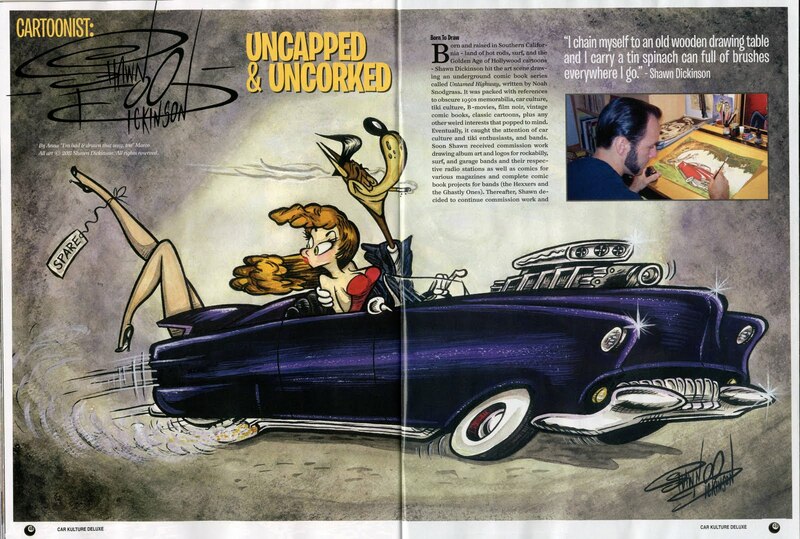 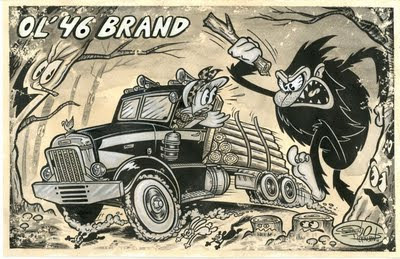 "Ol' 46 Brand" Original art - sold! 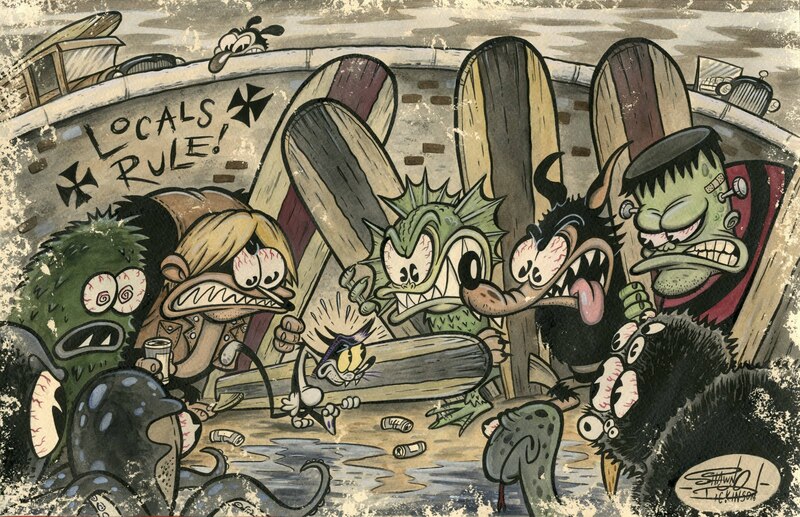 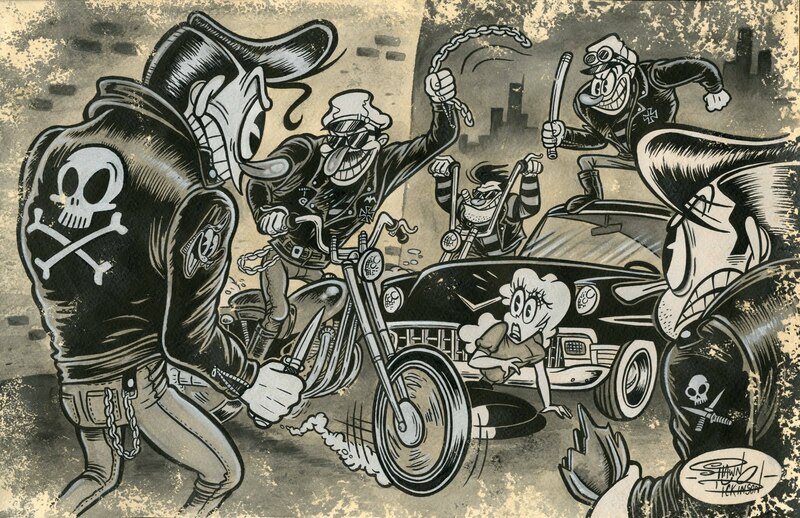 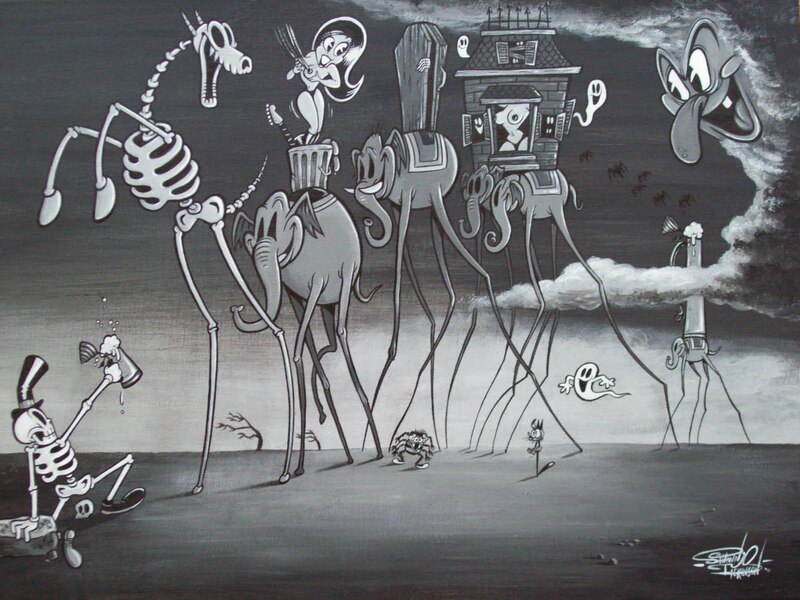 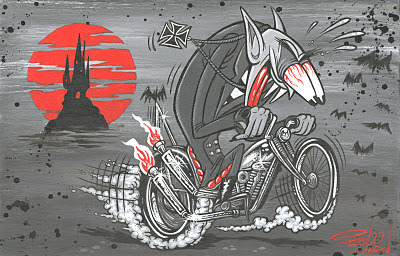 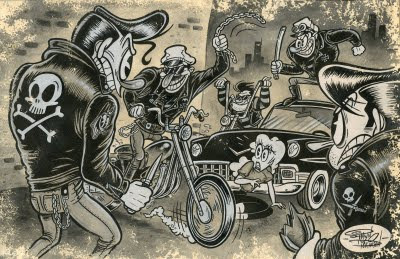 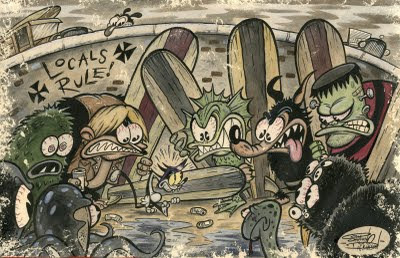 "Locals Rule" Original art - SOLD! 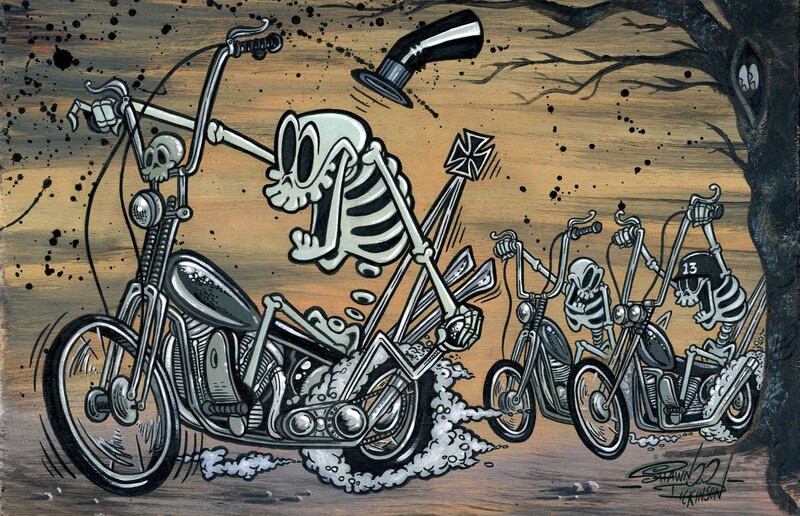 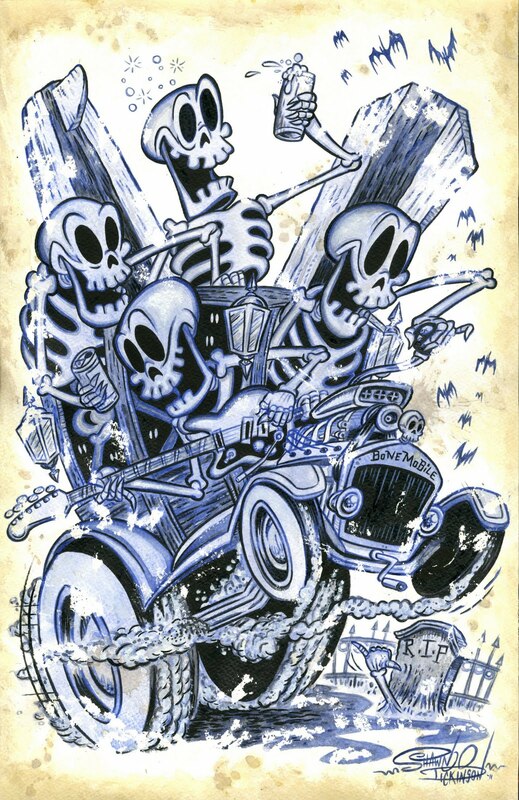 "The Bonemobile!" 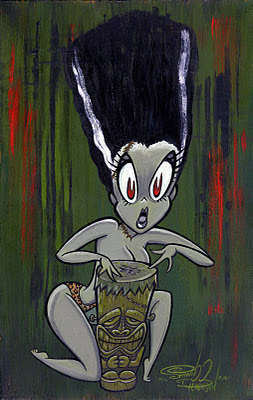 Original art - SOLD!